Once in a while Adithis Amma Cooks as well...so today it was turn to wear my Apron! This recipe was given to me by my Aunt (Bedhi / Periyamma); My DD does not like sweets much, and one sweet which she likes is Jalebi ! While the syrup is hot and ready, start frying the Jalebis. Heat oil/ghee in a shallow base pan or kadai (deep base does not work fine for this!) Now pour the batter through a mould (I made a cone using ziplock cover and cut the edge to form something similar to piping cone!) on to the hot oil/ghee in medium heat and flip till it gets nice golden color. Take it off, drain it well and then immediately dip it in sugar syrup and take it out of syrup and place it on to to another plate. 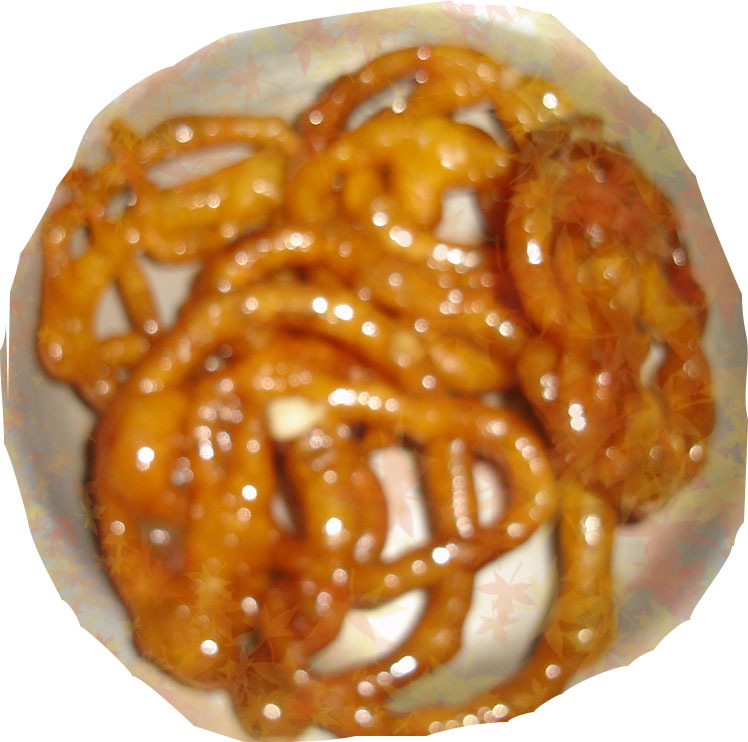 Ta Da, yummy jalebis are ready! I have seen jalebi makers adding colour to the syrup and dumnking the fried jalebis in the coloured syrup..struck me as a very good idea..